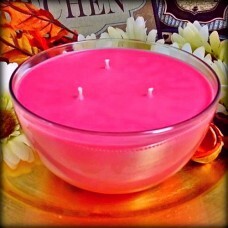 This candle comes in our Create A Scent (CAS) option. We give you the opportunity to create a one of a kind fragrance by mixing two of our existing fragrances and giving your new fragrance creation a name! If you would prefer a single scent, just choose one fragrance in the drop down menu and we will take care of the rest. 32 oz. Triple wicked for a perfect burn.